If you are dealing with a personal alcohol problem, or you are trying to help a loved one caught up in this behaviour, you probably have a few questions. Below we have listed 10 of the most commonly asked questions about alcohol addiction. 1. Can I Learn to Drink Safely? If you have been abusing alcohol but have not yet crossed the line into addiction, it may still be possible for you to regain control. You would likely benefit from spending time with a counsellor and learning about the dangers of alcohol abuse – it will also be important to learn some effective strategies for dealing with stress and anxiety. If you have already developed an addiction to alcohol then it is highly unlikely you will ever safely drink again. 2. Do I Really Need to Go to an In-patient Rehab? Entering an inpatient programme may appear a significant investment, and there are people who do manage to stop drinking without this type of help. The reality is though that this type of programme gives you the best chance of recovery. If you are serious about achieving sobriety, do you not want to give yourself the best chance of making it happen? It is also important to keep in mind that the real problem is not quitting alcohol but staying quit – rehab gives you the tools you need to remain sober long-term. 3. Do I Have to Hit Rock Bottom Before I Can Quit Alcohol? There are many misconceptions about needing to hit rock bottom before quitting alcohol. This is because people tend to associate hitting rock bottom with losing everything. The reality is that many alcoholics have a high rock bottom whereby they lose relatively little before being able to develop the motivation to quit. All hitting rock bottom means is that you have reached a point at which you feel ready to change; if you decide that you want to change your life today then it means you have reached your rock bottom. There is no benefit to losing any more to addiction than you already have; if you wait to hit rock bottom, you could easily die before you become ready. 4. Should I Pressurise Someone Into Going to Rehab? 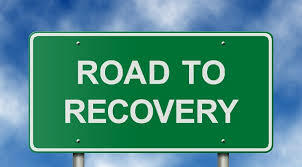 You may have heard that only those wanting to be in rehab are the ones able to benefit from this type of programme. There is some truth in this claim, but there plenty of examples abound of people who felt pressured into going to this type of programme, yet they managed to escape addiction while there. The fact that many start off feeling resistant to rehab does not mean they cannot change their mind while there. Young people, especially, often need to be pressured into going to rehab, but it can turn out to be the best thing to happen to them. Of course, if somebody is resistant to the idea then he or she may respond very negatively to any attempts to pressurise them into going – in this case, a more subtle approach may be required. 5. Will I Be Cured at Rehab? The goal of rehab is not to cure your alcoholism but to teach you how to live a fulfilling life in sobriety. The idea is to help you develop a manner of living in which you no longer feel any need to turn to alcohol for comfort. You will not be cured in the sense that it will be safe for you to drink again, but it should certainly mean a much better future for you. 6. Do I Need To Be An Alcoholic To Go To Alcohol Rehab? There has been a significant increase in the number of people going to rehab before they have become physically addicted to alcohol. There is a lot more information around today about the risks of addiction, so individuals are often able to spot the warning signs early. If you can escape a fall into addiction that is the ideal situation – going to rehab is an excellent way to avoid this suffering. 7. Why Are There Different Types of Rehab? There are now many different approaches to addiction recovery, which can make things a little confusing. These various solutions exist because there is no one approach that works for everyone – the good news is that because there are now so many options, it means there will almost certainly be a path for you. If you are unsure about which rehab will be the right choice, it can be helpful to speak to an addiction counsellor or therapist. 8. Do I Need to Join a Recovery Fellowship? Joining a recovery fellowship such as Alcoholics Anonymous or SMART Recovery can be a wise move, as this will give you a support network and a programme for living. It is advised that you at least try this option. If the spiritual aspects of the AA programme put you off, you can give SMART or one of the other secular options a try. 9. Am I Too Young to Be an Alcoholic? It does not matter how young you are; the fact that you have a drink problem means that it will be negatively affecting your life. People can develop alcohol problems in their teens and use the excuse that they are too young to need help; if they somehow manage to stay alive, then the same excuse can still be used when they are in their forties. This is just all part of the denial of addiction. 10. Am I Too Old for Addiction Treatment? It does not matter how old you are, it is almost certain that your life will improve if you are able to break free of alcohol abuse. There are now many older people entering rehab for the first time, meaning they get to enjoy years of sobriety instead of wasting their last years caught up in addiction.